Sometime ago, I went to Facebook HQ in Jakarta with coworker, we're invited to attend Facebook Blueprint Live. Since I spend days reading stuffs in Facebook Agency Hub and Facebook IQ, I was so curious to hear from Facebook. Lucky, Boss sent me to have this live experience. Long story short, after this and that, I had Jiro IForgotYourLastname as lecturer. I was terrified, justified Japanese are worst with English. But Jiro is an expection. And he told me so many. Let's start break it down! As an agency, our journey always start with clients brief. Sometime you have a nice brief, where client knows what they want from digital optimization. Other time, they're just common sense about ecological business and brand history. 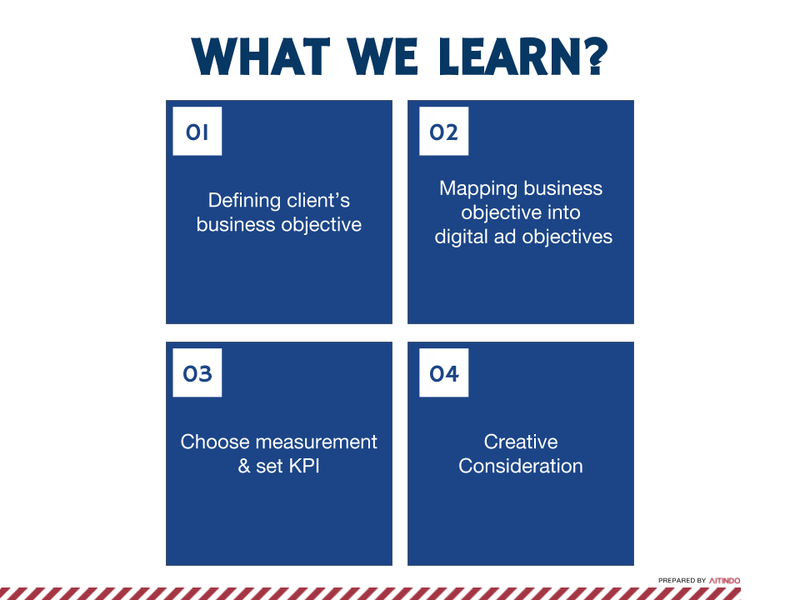 So our first task is to breakdown clients brief and find out what's their business objective. 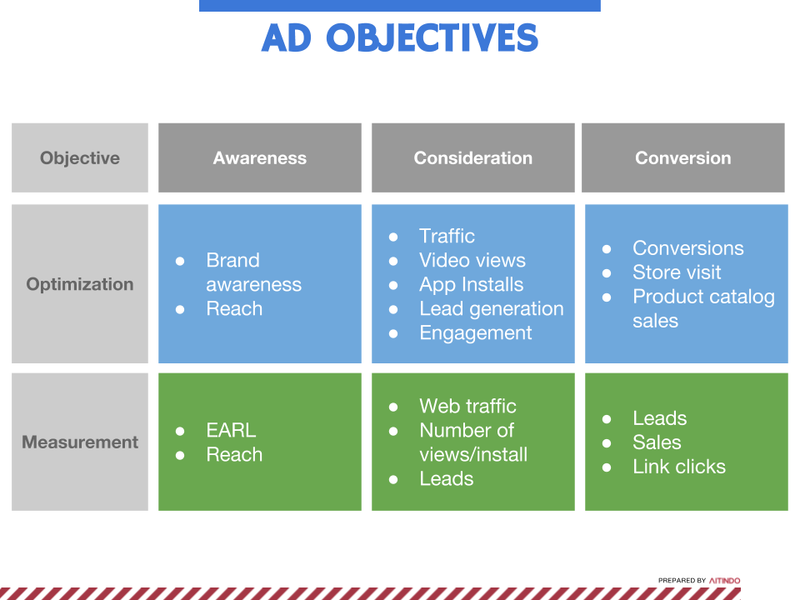 Move from that, we (should) know what digital ad objective that works best for this kind of objective. I'm not really sure this is the right way to cluster it. But, I went anyway. 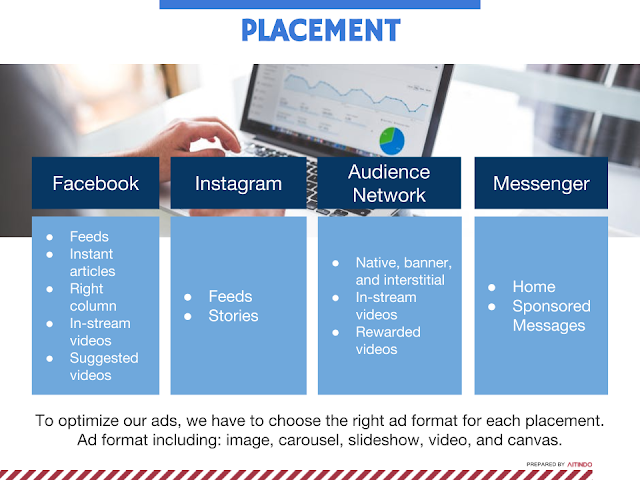 How can you choose out the best placement? Easy. Choose automatic placement. Let Facebook do the rest. But for Instagram Reach objective, I usually only choose Instagram Feed as placement. Because I wanna know how many unique people I can reach through this platform. A friend from big agency in Kuningan told me it's nice to have A/B testing. But not everyone had the budget and time, right? Your buying type is attached to your ad objective. Facebook has this section on their Agency Hub, you should start typing it in Google search bar, but, after finish reading this. Next step (or this could be your second step, suit yourself) is to define, who do you wanna reach with your ads. Sometimes my team like to made a profile about our digital target audience. 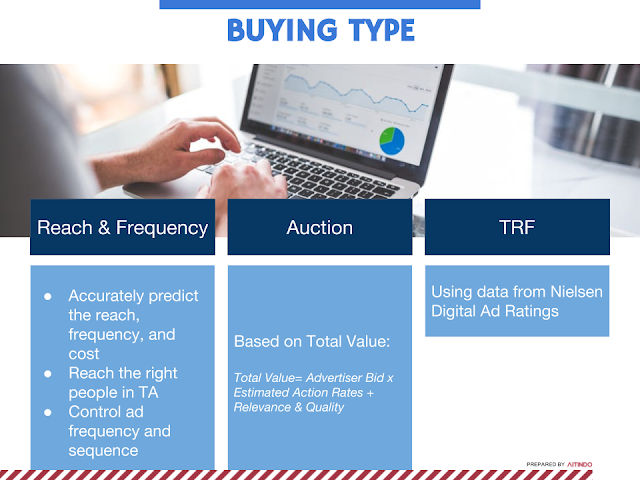 Some are in the exactly same spectrum with client target market, some are need adjustment to reach the right unique person in the platform. 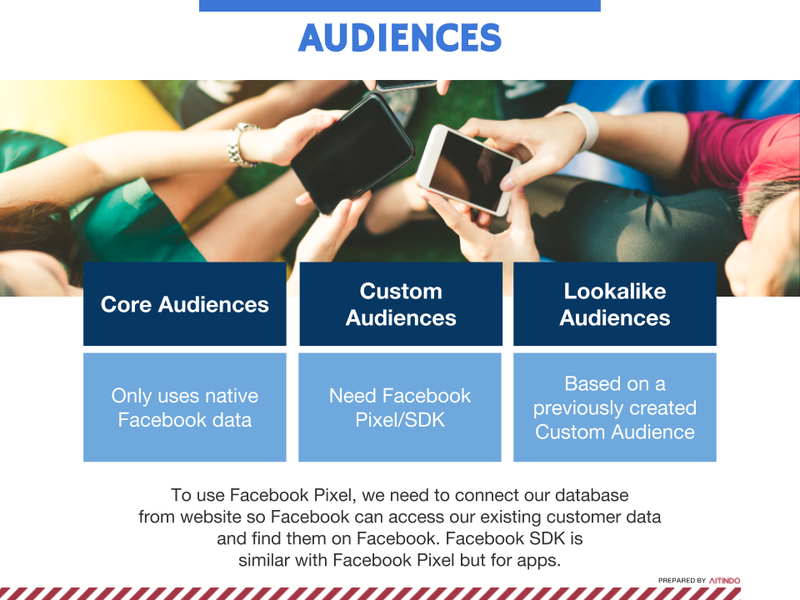 You need to build your audience when you place ads on Facebook. I usually use Core Audience because my clients digital asset didn't provide database from website or apps. You can manually upload it anyway if you have CRM database. Do you think you already had everything to place your ads? Well, we are not even begin. I hope you still wanna learn more in my next article about Facebook Blueprint Live.